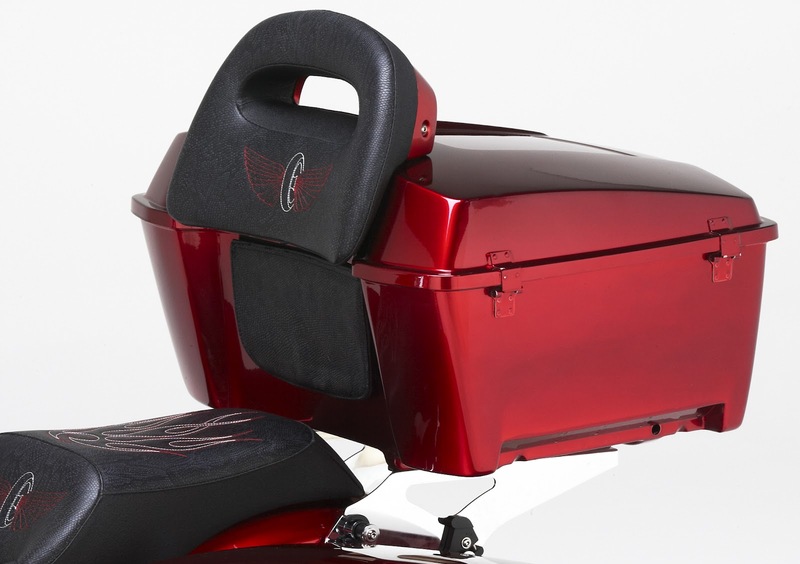 Hollister, CA- Corbin announced today the introduction of their Ovalbac Trunkrest for Harley-Davidson Tourpaks. It gives your passenger generous body contact for more square inches of weight dispersion and for long range touring comfort. Contoured contact area and Comfort Cell foam provides more support and less hot spots. Includes genuine “Italian” leather and a host of decorating options to coordinate with your new Corbin saddle. The back of the trunkrest is finished with an ABS finishing plate in leather like texture to keep a very clean look on your bike. Includes our tasteful winged wheel stitch pattern, but please note that Chrome studs are not available on this trunk pad. Bolts up to your H-D trunk just like the stock pad. 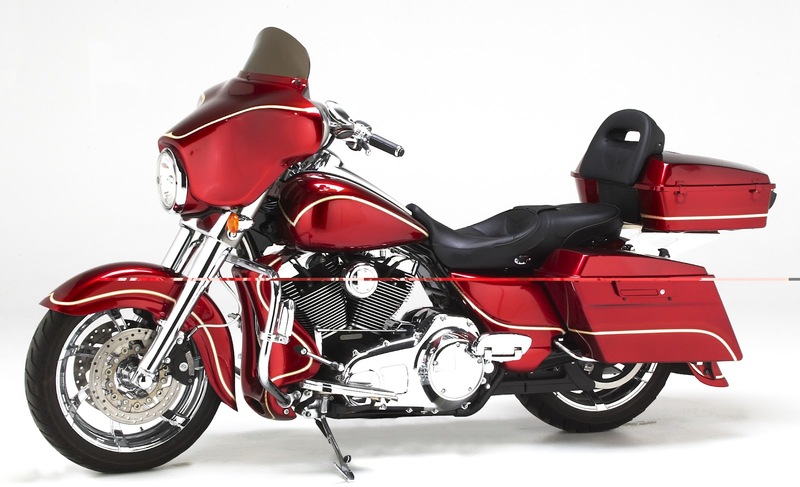 Fits on all years of the Harley-Davidson King Tour Pak and Chopped Tour Pak, but not on the Premium Leather Tour Pak. If you are adding a trunk to your bike, please assure the base part number (without color code) is one of the following: 53274, 53270, 53332, 53325 or 53287. In some circumstances you may need to drill holes in the lid for fitment, Corbin includes a drilling template with the trunkrest. MSRP: $263.00. Corbin is the world’s finest motorcycle saddle…Hand crafted in the USA and setting the standard for over four decades! From the original Corbin removable backrest to their unique saddle designs, stylish saddle bags and touring quality fairings; they are unequalled in quality, design and function. Corbin designs and processes are so unique; many of them have been awarded US Patents...a total of 84 Patents to be exact! Visit "The Wizard's Workshop" in Hollister, CA where you can ride in and get a custom saddle made while you wait or their new showroom in Ormond Beach, FL where they're open seven days a week.